Driving across Iowa, Hendrik J. Viljoen, distinguished professor of chemical and biological engineering at the University of Nebraska, noticed that soybean fields were becoming increasingly infested with weeds each season. 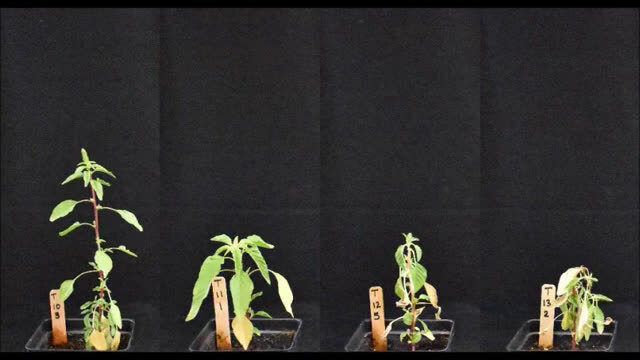 The culprit is a glyphosate-resistant weed called "palmer amaranth," which is threatening crops in the Midwest. 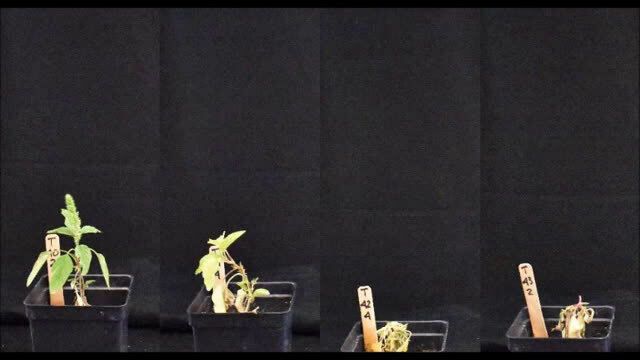 As a firm believer in the concept that our well-being is closely tied to the health of the crops and animals within our food chain, Viljoen reports in the journal Physics of Fluids, that he was inspired to create a way to spot treat weeds that eliminates any risk of pesticide drift. Developing a drift-free, weed-specific applicator will pave the way for autonomous weed control with smart robots. "At this stage, we can't envision the full utility of these robots, but they offer us the opportunity to survey fields and alert us to disease breakouts, blights or nematodes," said Viljoen. "In the future, the roller—with some modifications—could also be used to deliver small RNA molecules to plants. Smaller farm operations that focus on specialized products will likely be the first adopters of the technology." This seems overly complicated. Why not design the robot to recognize a certain type of plant(Exp. soybean). Then to pull up any other type plant in the field. I am not a farmer but I think that's the way it was originally done by farmers. I suppose it would be easy enough for the robot to then dispose of the offending plant. It could even be programed to shock small pests (raccoons etc.) to drive them out of the fields.